Using different sizes of seed beads doesn’t so much create a spiral, as accentuate the pattern that already exists in a peyote tube. A final row of 8/o seed beads are needed to close the gap between the 6/o and 11/o bead sizes. 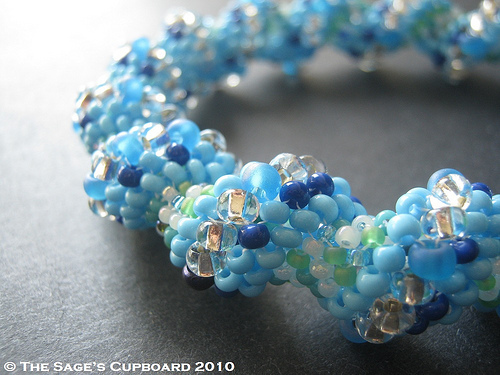 If you love making beaded bracelets of all kinds, then you will love our newly revised collection of beaded bracelet patterns, How to Make Bracelets: 6 Free Beaded Bracelet Patterns for Handmade Bracelet Making. 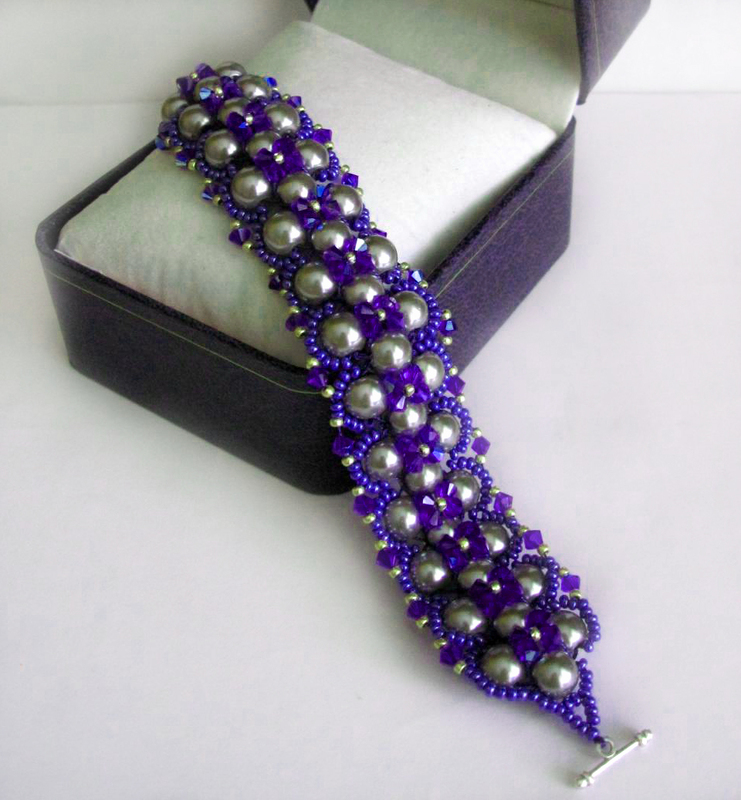 Beaded bracelets can be made by just about anyone with any set of beading skills. If you want to embellish your bracelet you will need 7ft. of 10lb. test fishing line. 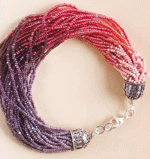 You can also make this bracelet without embellishing it. If you do you will only need 5ft. of 10.lb test fishing line.